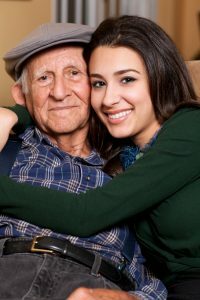 Having to seek home hospice care for a loved one or family member can be a difficult situation for some, but it doesn’t have to be, and nor should it be approached as such. Hospice care is inherently good; you are providing comfort, support and strength to your loved one as they face the end of their lives. In times like this, the best thing to do is just that — allow them to pass on with comfort and dignity. Losing a loved one is always difficult, though, and facing this outcome as the loved one is still living can be just as difficult as the loss itself, both for all parties involved. At Your Healing Touch, we provide patients in the greater Indianapolis area with top-notch supplemental home hospice services, so that your loved one can spend the last phase of his or her life comfortable, ready to face these final days in comfort. As this is a difficult time for your family member or loved one, having someone to talk to can be incredibly beneficial to him or her. We can sit and talk with your loved one, providing comfort in this difficult time. Just having someone to reflect on their life with, share their fears with and provide comfort to them will help them in this difficult transition into their last phase of life. In addition to companionship services, we also offer reading services for your loved one. Being read to is incredibly calming and comforting, and this can make your family member or loved one feel more comfortable and at ease. Whether our agents read to your loved ones to pass time or because your loved one no longer has vision strong enough to be able to read to him or herself, our agents are more than happy to provide this service. A freshly made bed is something that everyone loves, young or old. Helping maintain a clean and pleasant bed for your loved one is something that we will happily do for you, as he or she may be spending a higher than average amount of time in bed resting or lying down. Having fresh sheets and pillowcases provide a relaxed and comforting atmosphere for your loved one. A clean home is a happy home, and at Your Healing Touch, we are able to provide your loved one with light housekeeping services to help maintain a tidy living environment. Light dusting, clearing up clutter and minor dishwashing are all things that we will happily provide for your loved one, making his or her home as comfortable and calm as possible. If your family or loved one has reached a point in life where hospice care is necessary, then doing basic things like grooming and personal care can sometimes be a challenge. We will assist them with things like getting dressed, brushing their teeth, and other basic grooming and personal care tasks. Being well kempt can make a great difference in the overall mood of your loved one, and we are happy to provide these services. we are committed to making this transition as easy as possible for you and your loved one. As they prepare for the final phase of their life, we are here to help them do so with comfort and dignity. Get in touch with us today for more information about our supplemental home hospice services.